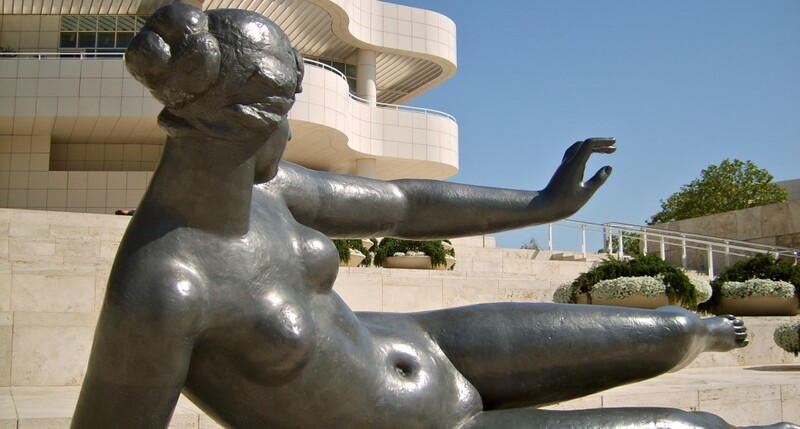 This is your free San Francisco City Guide! It’s the city by the bay, the city that rocks, the city that never stops (according to the band Starship anyway). San Francisco is actually a laid back city and these days it’s a city with two “centres” linked by the historic streetcars. 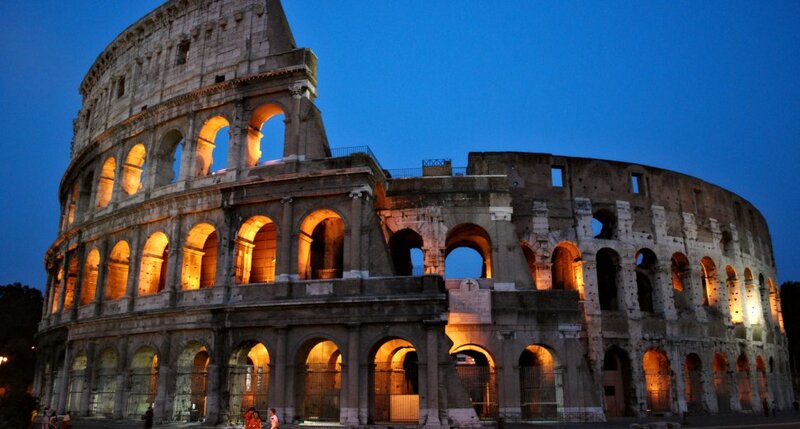 Here are our personal recommendations of what to see and do. 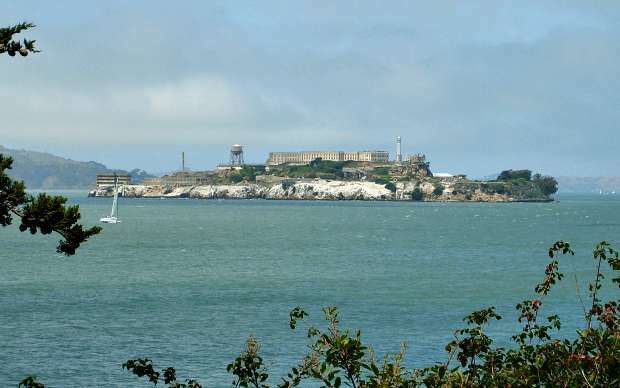 Alcatraz – This is an island with an infamous history, and much of the former prison here remains intact. 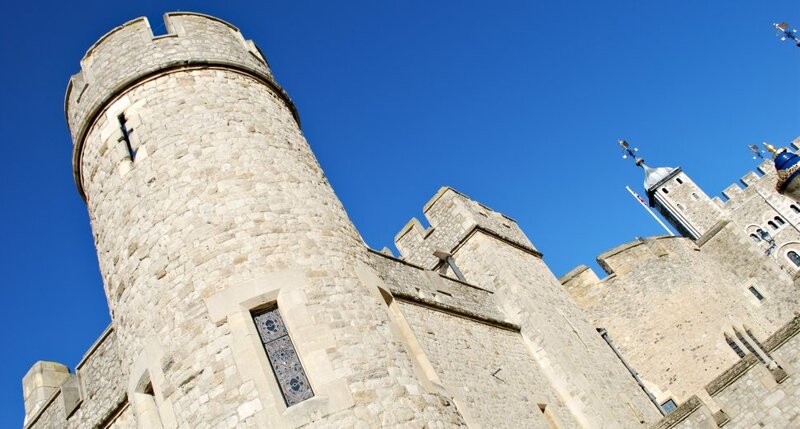 The biggest and most recognisable building still standing is the cell block and the audio tour of the building includes the thoughts of former prisoners. You’ll see some further buildings too and you’ll also see the remains of others, like the governor’s mansion which burned down in a fire during the American Indian occupation of the island. Alcatraz also has a new life as a wildlife preserve and we thought the whole place was fascinating. You’ll need half a day to see it all. We think that Alcatraz is the one thing you shouldn’t miss in San Francisco and yet it’s actually very easy to miss out on a trip here. This is because at peak times, the ferry crossings are often fully booked for days in advance. Last time we went, we booked online and printed our tickets at home. Fisherman’s Wharf – This area along the edge of the bay was once full of industry, but is now the tourist centre of San Francisco. 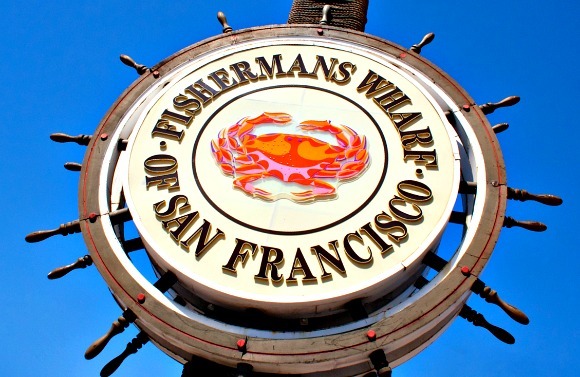 Many of the piers have attractions, shops and restaurants but still the most impressive is Pier 39. There’s also the added attraction here of the wild sea lion colony which has taken over some of the boat docks. They sleep, play and bark constantly and entertain the crowd with their antics. Also at Fisherman’s wharf is Ghirardelli Square, the former home of the Ghirardelli chocolate factory. You’ll get ice cream and chocolate here now. The Golden Gate Bridge – It has to be the most photographed icon of San Francisco and you have to get close to appreciate just how big it is. You can walk over the bridge, although walking part of the way and turning back might be a better option. Many tours of San Francisco take in the bridge though, including bay cruises so you can see it from below. The bridge is quite far away from the city centre, so you’ll need to take a bus or taxi to get there. If you have a car, parking at the bridge is limited. 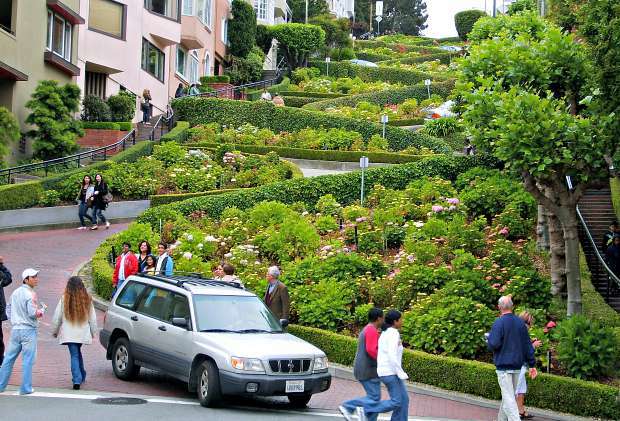 Lombard Street – What a bizarre street! It’s one of the sights of San Francisco although we only think you need a few minutes here for a quick photo. The city is full of hills, and many streets therefore have a steep incline. When they designed this one though, they decided to do it a little differently and have a series of hairpin turns going from left to right. Lombard Street is a short walk up the hill from Ghirardelli Square. 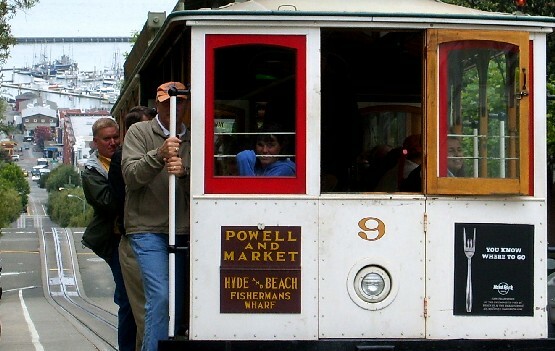 Cable Cars – There are only three routes and the best one to take for a terrific view of the bay and Alcatraz is the Powell-Hyde route. This goes from Powell Street in the shopping centre of San Francisco down to Ghirardelli Square. You need to buy a ticket from the turnaround spots or from the conductor. The cable cars are always busy and it can be quite daunting to try to get on them. Our advice would be not to get on at the main turnaround stops as there are often long queues. Instead, walk up the route for a while and try and get on a few stops up. Yes the cars will be busy when they come, but we found the conductor has usually saved a bit of space and the further up the route you go, people do get off too. The Cable Car Museum is on the Powell-Hyde route and if you are interested to know how the cable cars actually work, it’s fascinating. There is all the history you’d expect in a museum, but you can also see the huge wheels which move the cables and make the whole thing function. It’s on Mason Street at the junction with Washington and the museum is free. 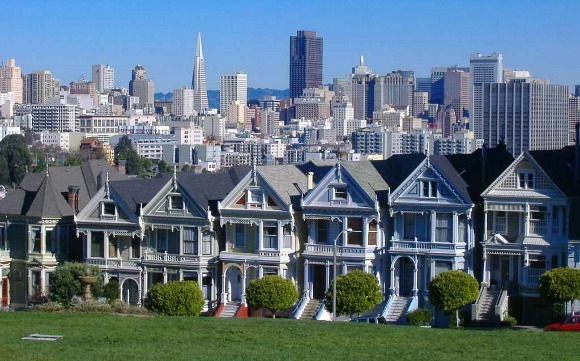 Pacific Heights – This area is dominated by lovely Victorian painted houses (often referred to as Painted Ladies). We just took a walk around some of the streets to see them. 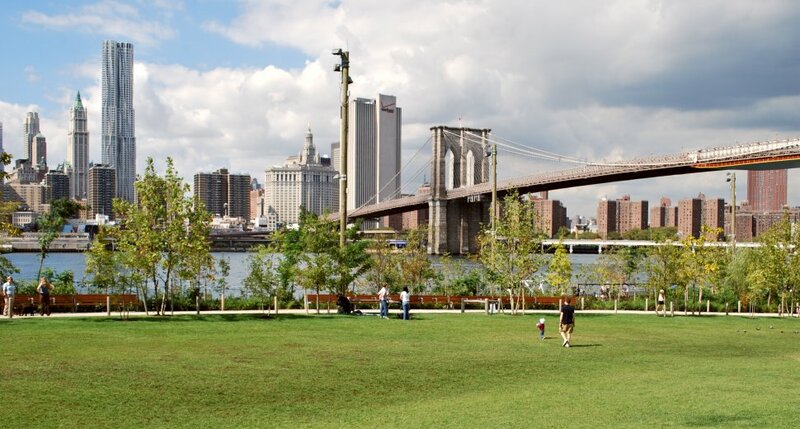 You’ll find parks long the way and some great views of the bay too. The most famous houses are in the Alamo Square area. Union Square – This area in the city centre is a place to relax and a place for outdoor exhibitions and performances. It’s sort of the heart of the main shopping area. We enjoyed just sitting around here and watching the world go by. The surrounding area is packed with all the shops you could ever need both on the streets and in Malls. Coit Tower – This tower stands on Telegraph Hill and is visible around large parts of San Francisco. 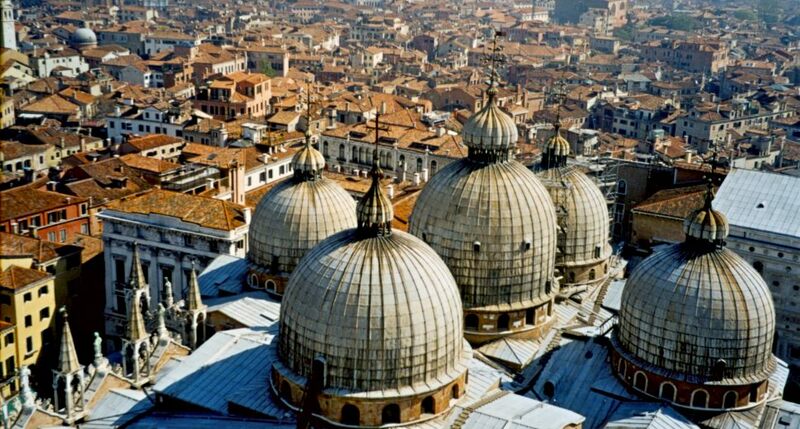 As such, there are great views of the city from the top of the tower and it’s free to go and see them, although there is a charge for the elevator. The tower was built in 1933 with a donation from a wealthy resident who was a big supporter of San Francisco fire fighters. 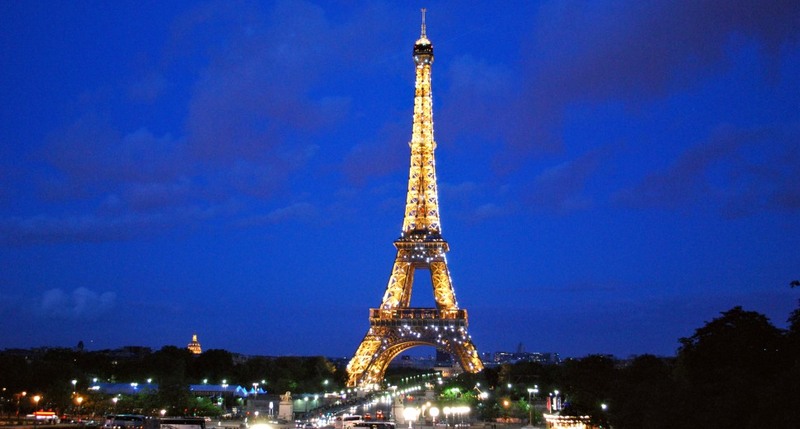 Therefore, the 210 feet tall tower is designed to resemble a fire hose. Inside there is a shop and some impressive art murals on the walls. 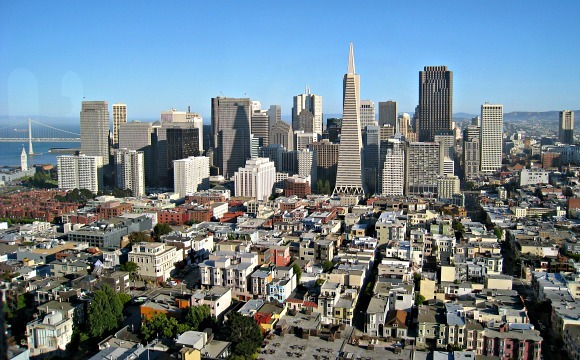 The picture above was taken from Coit Tower. 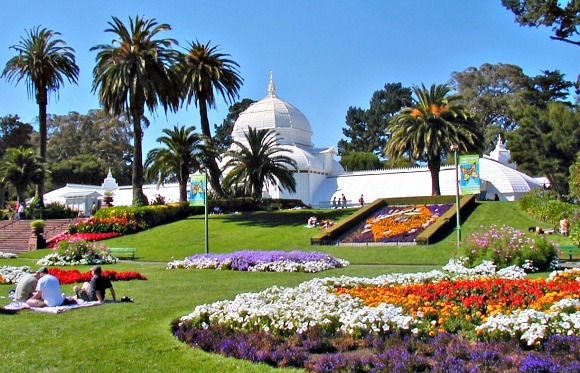 Golden Gate Park – This is San Francisco’s largest park and it’s a lovely place to while away a few hours walking and relaxing. You probably won’t see it all as it’s 3 miles long and bigger than New York’s Central Park, but there is the option to drive through some of it instead. The park is jam packed with interesting features and structures, attractive walkways and stunning flower beds. The park’s edges are lined by Fulton Street and Lincoln Way. 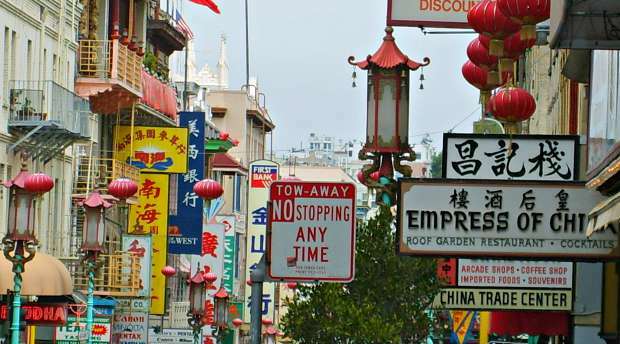 Chinatown – It’s huge and they say walking down the main street (Grant Avenue) is as close as you’ll get to china without actually being there. There are restaurants and shops selling all kinds of Chinese produce, much of it out on the sidewalk. Grant Avenue can be so crowded it’s difficult to walk on at times, but the surrounding streets tend to be quieter and many are decorated with Chinese lanterns. The Chinatown Gate you may be familiar with is at the City Centre end of Grant Avenue. 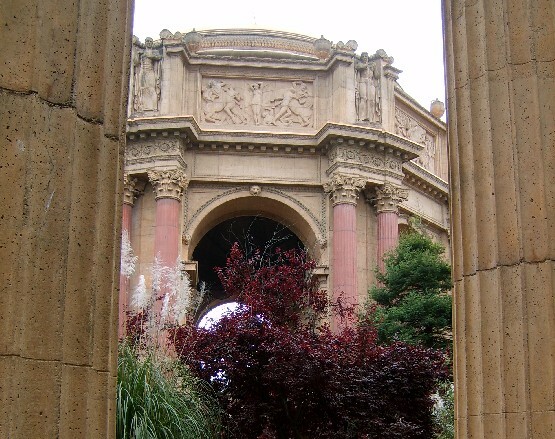 The Palace of Fine Arts – It’s quite a walk to get here, so you might want to take a bus but we think it’s worth it to spend time in the gardens which are free. There are water fountains and beautiful stone structures dating back to 1915 with plenty of places to sit. It’s not unusual to find wedding parties here having their photos taken. The Palace itself now houses a science museum. You’ll find it in the Marina district on the edge of the bay off Mason Street. The District itself is a lovely residential area of San Francisco with many beautiful houses and park areas along the edge of the bay. 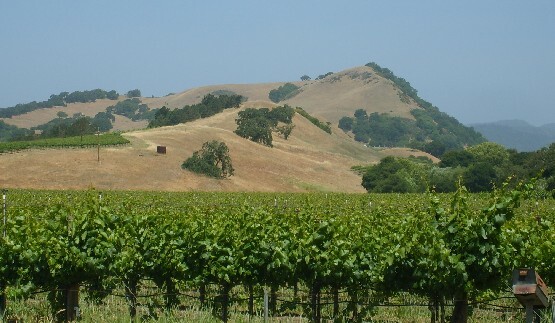 Wine Country – If you love wine, you might want to use San Francisco as a base to explore the wine country of Napa Valley and the Sonoma area. There are many organised coach tours available from Frisco itself and there’s plenty of wine to drink and beautiful California countryside to see. On our last visit to San Francisco, we took a coach tour that lasted all day and visited 3 vineyards, stopping for lunch in Sonoma town which was beautiful. 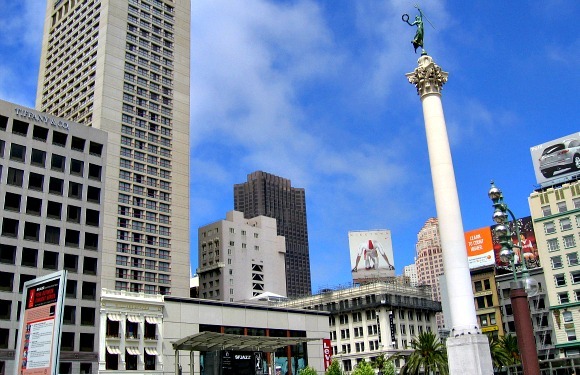 There are two hotels we would recommend in San Francisco, one if you choose to stay in the bayside area and the other for the Union Square area. We stayed at Fisherman’s Wharf in the Holiday Inn Express and found it to be comfortable, reasonable, convenient and clean. The room size was good and it served as a perfect base for exploring. 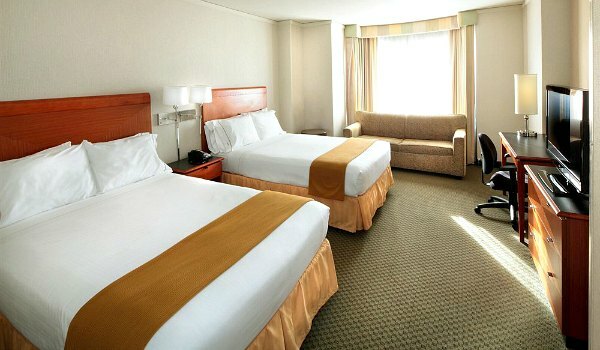 At Union Square, we stayed in the Handlery Hotel and found it to be a very pleasant stay in attractive, modern rooms. 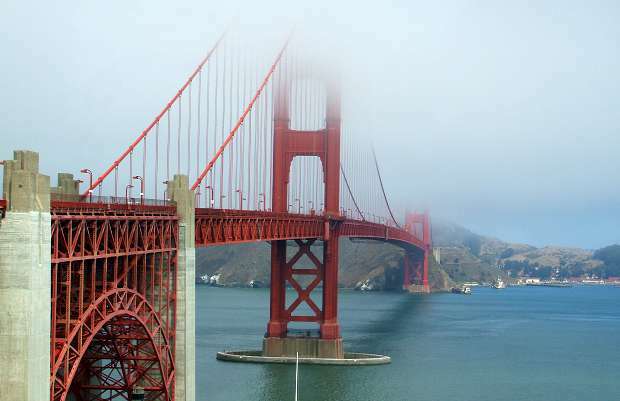 The Bay area can have its own micro-climate at certain times of the year and can also be prone to fog and mist. This can severely affect the temperature – you might well find San Francisco is warmer in April than it is in May for instance. 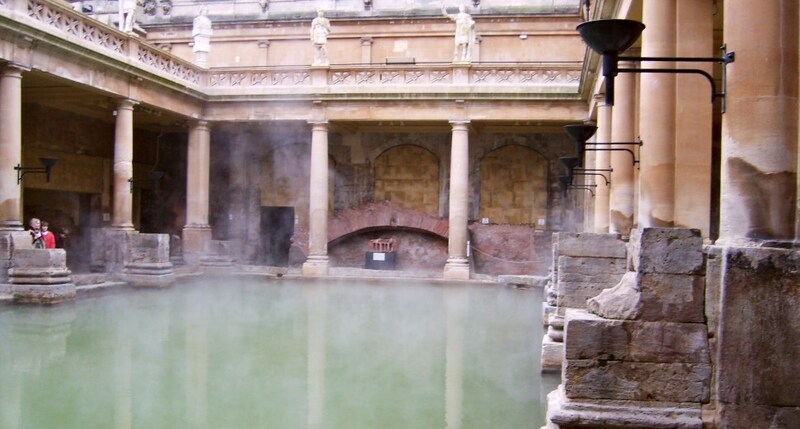 Our top tip if you’re going at anytime other than the full summer, is to take clothing to cope with the days when there’s a cold wind and no sun. You’d be amazed at how many tourists end up buying San Francisco sweatshirts or even coats because of the unexpected temperatures. It’s the hills that get you when walking in San Francisco, but we’d recommend getting a hotel at Fisherman’s Wharf which means many things are within walking distance. 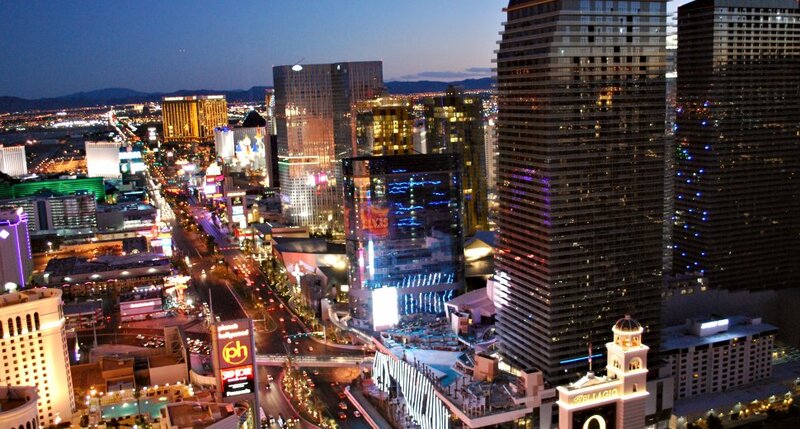 Click here to see details of nearby hotels. You can use the Cable Cars and regular bus services to get to the other areas of San Francisco. The other bus service that we would suggest is the Hop-on, Hop-off Bus Tour which takes you to all the sights in Frisco, but doubles up as an easy way to get around. Getting from the airport is simple using the many minibus services that operate. You simply tell them which hotel you’re at, and they deliver you to the door along with other tourists for nearby hotels. Take a business card from them too, so you can re-book them for the return journey if you liked the service. For more options or to book in advance, click the Airport Transfers button.